Transforming the Bay with Christ (TBC) aims to catalyze a holistic gospel movement in the Bay Area that results in spiritual and societal transformation. They see spiritual transformation as the result of an increasing number of people loving God with all their heart, soul, mind, and strength and societal transformation as the result of an increasing number of people loving their neighbor as themselves. A key factor in accomplishing this mission is that local pastors enjoy genuine friendship with one another. Jon Talbert–Chief Convening Officer at TBC–has made facilitating effective pastors’ networks throughout the Bay one of his main goals. Jon has helped catalyze and support pastoral networks across the Bay including an Asian American pastors’ network and Hispanic pastors’ network. Jon believes meaningful pastors’ networks are marked by regular meeting rhythms, an established leadership team (rather than one pastor or leader), denominational variation, connection to the wider regional gospel movement, and includes a leader who prioritizes building connections with the outside community. TBC-influenced pastors’ networks gather around three times per year. Each gathering has components of professional development, relationship building, and soul care. Jon is working with these pastors’ networks to raise the bar for their networks. 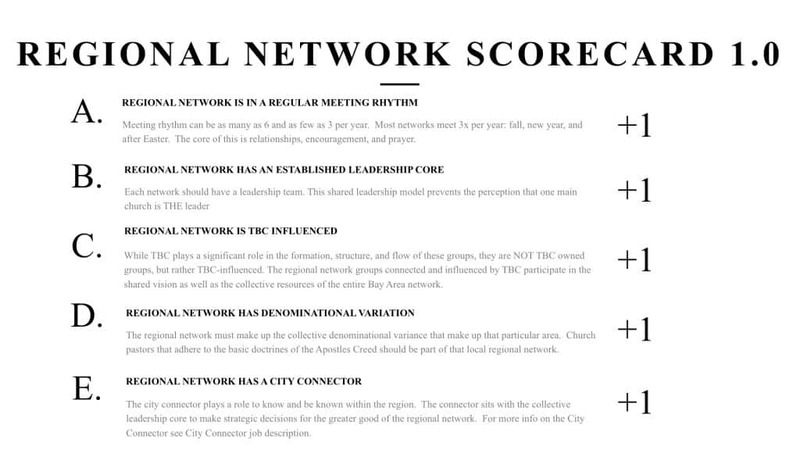 While professional development, connection and soul care are central, Jon and the TBC team envision pastoral networks advancing to regionally collaborative kingdom efforts. 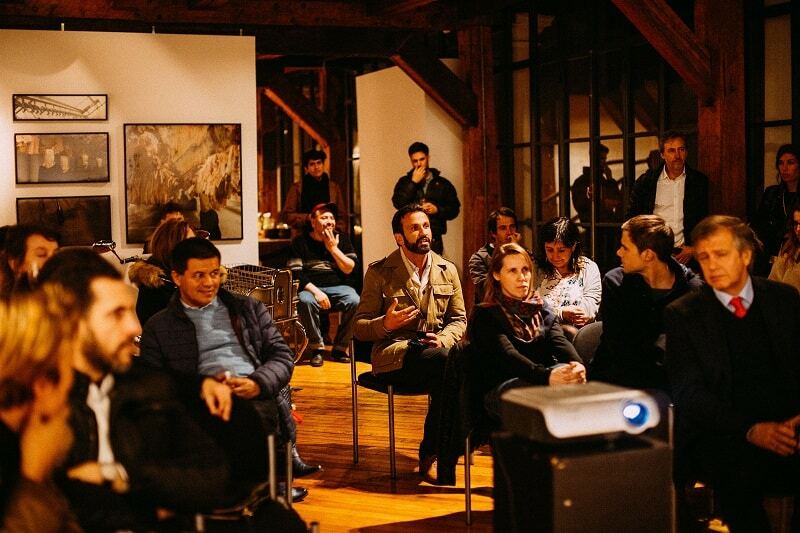 They see networks practicing collaborative church-planting, championing faith and work efforts, engaged in unified generosity, and tracking their impact on their community through ongoing data efforts. To contact Jon Talbert, click here. Do you have best practices you’ve learned in your city that you’d like to make available for other leaders? If so, let us know!